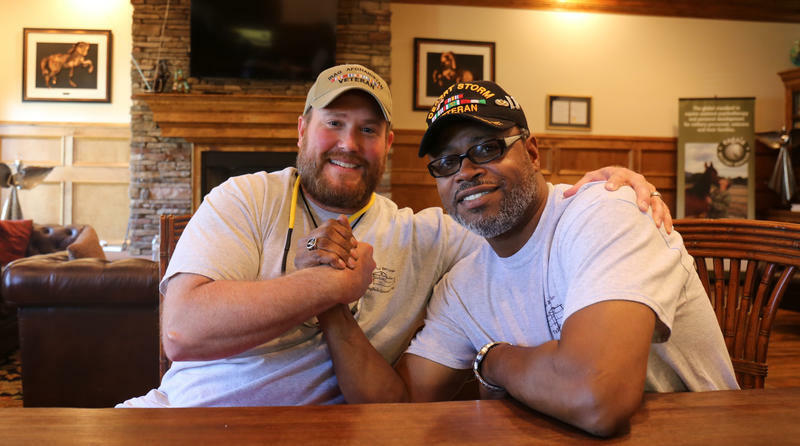 As co-facilitators at The Big Red Barn in Aiken, Dan Stover and Sheldon Bullock help provide services for veterans with Post Traumatic Stress Disorder. This edition of Narrative features an interview with veterans Dan Stover and Sheldon Bullock. Stover served in the Marine Corps during Operation Iraqi Freedom, and Bullock served in the Army during the First Gulf War in Iraq. As co-facilitators at The Big Red Barn in Blythewood, they help provide services for veterans with Post Traumatic Stress Disorder. In a conversation recorded by South Carolina Public Radio, they discuss how PTSD has affected them personally, especially as they had to confront misconceptions about the disorder. Click to listen... A production of South Carolina Public Radio. Produced by Clayton Sears. Recorded by Thelisha Eaddy. The Big Red Barn in Blythewood, SC. 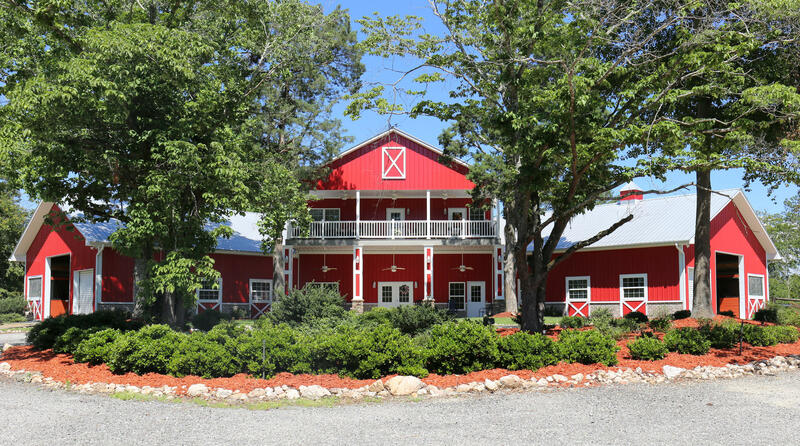 The Big Red Barn offers programs to help veterans cope with their PTSD symptoms through group activities such as yoga, art, and gardening. In addition the organization offers equine assisted therapy and group therapy coffee sessions. Click to learn more. June is national PTSD awareness month, with national PTSD awareness day falling on June 27 in 2018. For more information on PTSD, visit https://www.ptsd.va.gov/public/materials/videos/index.asp. Correction: An earlier version of this story stated that The Big Red Barn is located in Aiken. It is located in Blythewood, SC. June is PTSD or Post Traumatic Stress Disorder Awareness Month. The mental health problem can develop after a person has been exposed to one or more traumatic events. For members of the military, PTSD can develop because of combat and missions where soldiers were exposed to horrible and life-threatening experiences. 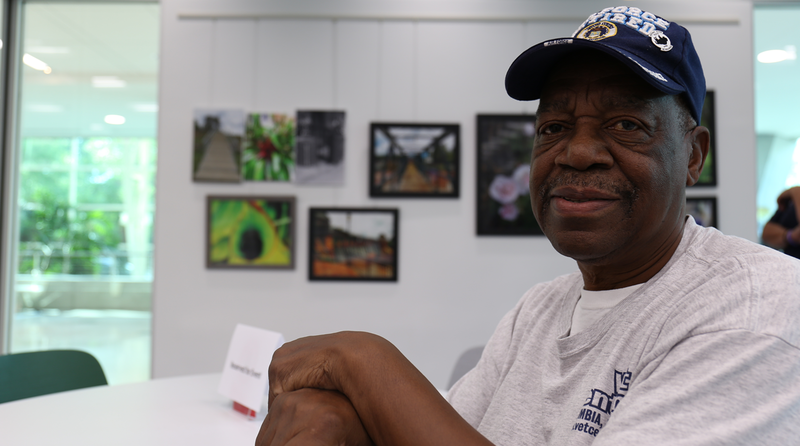 According to the health clinic at the WJB Dorn VA Medical Center in Columbia, 22,000 veterans are seen for mental services in general, many of them are referred for PTSD therapy.